Tip:To disassociate a format from a variable, use the variable in a FORMAT statement without specifying a format in a DATA step or in PROC DATASETS. 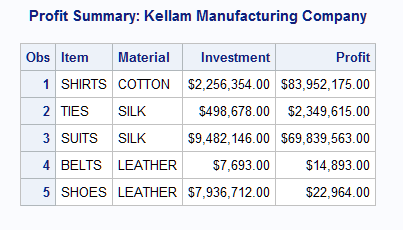 In a DATA step, place this FORMAT statement after the SET statement. See Removing a Format. You can also use PROC DATASETS. 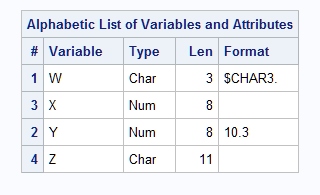 Tip:Formats that are associated with variables by using a FORMAT statement behave like formats that are used with a colon modifier in a subsequent PUT statement. For details about using a colon modifier, see PUT Statement, List. Default:If you omit DEFAULT=, SAS uses BESTw. as the default numeric format and $w. as the default character format. Restriction:Use this option only in a DATA step.